Jewish actress and comedian says she hopes to make aliyah, blasts BDS. 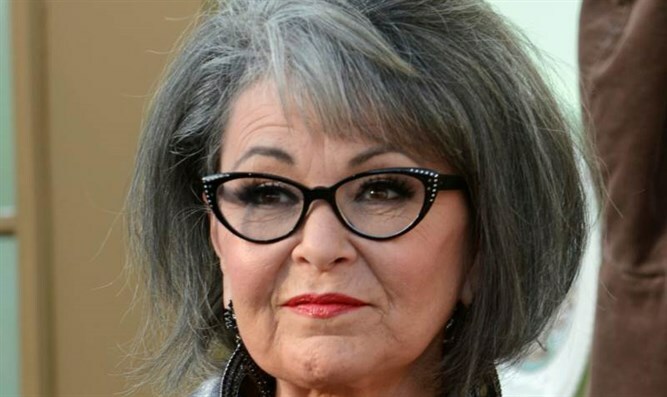 Jewish actress and comedian Roseanne Barr said on Sunday that she hopes to one day make aliyah and maybe even run for prime minister of Israel. Weiss asked Barr about the phone call she got from President Donald Trump after the premiere of her revived television sitcom received excellent ratings. “He said ‘Congratulations on the ratings.’ He’s really into ratings like I am,” said Barr, who added the thanked the president for his decision to move the U.S. Embassy from Tel Aviv to Jerusalem. The comedian in the past described IDF soldiers as "Nazis," but in recent years has become just as fierce a supporter of Israel as she once was a critic. Asked a few years ago about her change in stance, Barr said, "once I started reading, and once I started exposing myself to a wider variety of news sources than Haaretz and the Guardian and s**t rags like that, and I started to expand my point of view, which I should have all along – I don’t blame anyone but myself – I just became so dogmatic."